I thought I had done adequate research into what is required of an author these days. One must not only be a writer, but also a publicist. You have to generate interest in a book, ideally before it is even written, by writing a blog, posting on social media, and publishing articles in magazines, journals and newspapers to develop a following. I did all of that. Then you’re supposed to get an agent, because most publishers either deal exclusively with agents or give agent-represented books greater weight. I tried but most agents don’t bother to reply. Perhaps they believe that the polite convention is antiquated and think the convenient notice on their website of “unless you hear from me, I’m not interested” is good enough? I have a very, very short and now well respected list of agents who replied, even with what was obvious a cut-and-paste rejection. Two of them had clearly read the proposal that took me months to write and had similar comments: The story was very interesting and I was a good writer, but the subject matter made it a “difficult sell”, i.e., they would have a hard time selling the book to a publisher. Naturally I was disappointed, but I knew that Grit and Grace in a World Gone Mad was a story that deserved to be told, so I persevered. I had considered self-publishing, but I’m a writer not a publisher. I’m willing to promote the book in any way I can, but the attraction to me of having a traditional publisher was that magical term “distribution.” Essentially a book publisher is the conduit between the author and the bookstore. The publisher’s job is to have an editor prepare the book for printing, commission a printing company to print it, and negotiate with a distribution company to get the book into stores, physical and online. I’d gone the self-publishing route before with my young adult novel, and I didn’t want to repeat it. I wanted a publisher. Responses from publishers were the same as from agents: mostly silence and rarely “thanks but no thanks.” In the end, I felt fortunate that Gomidas Institute wanted to publish my book. Gomidas is one of those very small publishers with few resources, and no money for promotion, but my book would have an editor, and would be printed and distributed. So I knuckled down to write the best book I could. From September 2017, I researched, wrote, edited, proofread, found trusted readers to comment on the manuscript, edited again, found photographs, obtained permission for reprinting the photographs, found people generously willing to endorse it, designed the cover, and worked with the editor to finish it. By October 2018 when it was published, I was very tired. Still, with help from friends, I managed to schedule talks to groups, prepare a promotion/marketing plan for interviews, seek out book reviewers, and arrange for my publisher to submit my book for nonfiction prizes because even getting long-listed would help spread the word. I won’t go into all the details as I can’t bear to relive them, but for months I waited to hear that my book was on shelves in Canadian bookstores. If a distribution company doesn’t “pick up” your book—isn’t interested in it or doesn’t think it’s worth the effort—it won’t get distributed to bookstores. And since there are only a handful of distributors in Canada and, so far, none has picked it up, my book is not available for purchase in my own country. “They reject it without even reading it?”, a friend asked me aghast. It took months for Amazon.ca to list it at the correct price, and months more for Indigo Online to carry it (at an enormous discount, thanks to my publisher), but my book is not available in any Canadian bookstore. If a potential readers asks for it, the shop owner will find its ISBN, but will say, “Yes, but that will be a special order from the United States.” And of course, there’s an extra cost for shipping, so why would anyone bother? I took the book to a couple of bookshops for sale on consignment, but it was rejected—not because the subject matter was “difficult” (it’s mostly about humanitarianism, so it’s not that difficult) but because of the “price point.” They didn’t want to carry a book that sells for $45 CAD. People who attend my talks are willing to pay that to buy a copy of the book that’s 406 pages, but apparently no readers who buy books in a book shop are. Of course, this is without testing the concept, that any independent bookstore can do without spending a dime, which is how consignment works. For me, it is not worth my time and effort to try to promote my book in my own country because it’s not readily available, and it doesn’t qualify for most book prizes because of the requirement of being “distributed in Canada.” And now, even if I won the world’s most important nonfiction prize, it’s too late to apply for a Canadian prize because the deadlines are based on the publication date. And I’m not eligible to participate in writers’ festivals because they are dependent on easily available books for readers. I was quite deflated by this whole process and needed a mental break. Hence my silence. But recently I reminded myself that my purpose was to tell, to the best of my ability, the remarkable story of what Canadian missionary Edward Woodley described as “the parable of the Good Samaritan wrought out on a gigantic scale.” I did that. I put the story out into the universe. What happens after that is not up to me. 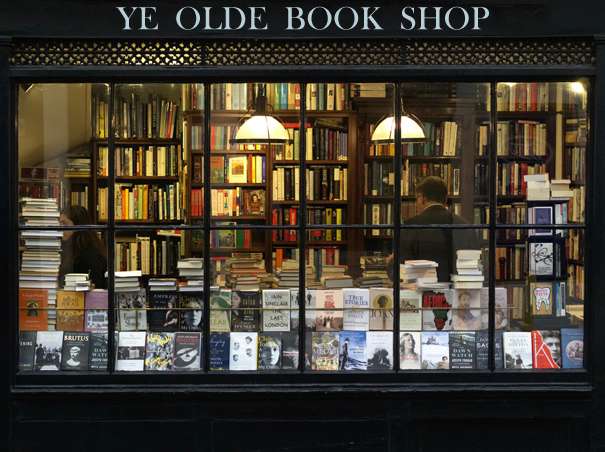 Photo of a book shop by Tuur Tisseghem from Pexels.